I sent this letter to request you for the installation of an air conditioner in the office. As you know that the season is changing and the weather is getting warmer day by day so it has started to get really inconvenient for the employees to work in the office. (Describe in your own words). As there is no proper ventilation system and the number of employees is greater now than before so the temperature in the office rises more than usual. (Explain the actual cause and situation). 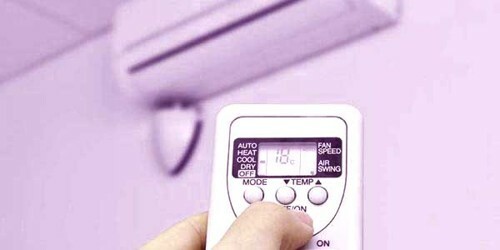 It not only disturbs the employees but also disturbs their tasks so I request you to please install an Air Conditioner. (Cordially describe your requirements). This letter is a formal request for a new air conditioning unit in the (Department name). With the unusually hot weather this summer, many customers come into the service office (service type). (Describe in your own words). The air conditioning unit has not worked for two weeks, and people are starting to notice. We had it repaired once, but the repair person, who was recommended by you, said that the unit is very old and can no longer be repaired. He suggested we buy a new unit. (Explain the actual cause and situation). I hope this can be taken care of soon, as sales will surely begin to drop when people realize we do not offer a respite from the heat. (Cordially describe your requirements). I can be reached at Phone Number or at Email Address if you have any questions.